Peak is excited to announce its most recent addition to the team with the purchase of a MC950 from Micro Control, Inc. 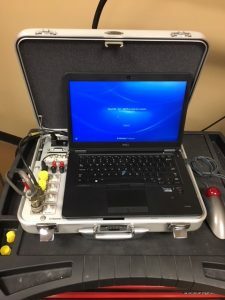 The purchase of the MC950 unit displays Peak’s commitment to evolving with the industry and remaining on the cutting edge of technology within ultrasonic joint testing and validation. The newest model, MC950, provides users with faster readings working in combination with the newest program update which has also been recently released. The purchase of the new MC950 unit increases Peak’s capacity and capabilities, and has already proven to be a great addition to Peak’s existing two MC900 units as well as a wealth of other tools and equipment to service a wide array of customer needs. Contact Peak today to discuss our equipment lineup and how we can be a resource for your joint testing or validation needs.